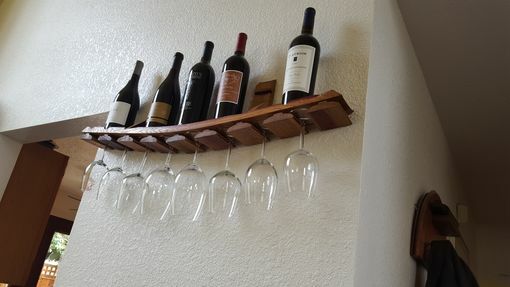 It measures 4"L by 9"h by 37"W and is designed to be mounted from the wall. Mounts to walls with 16" OC studs (Inquire about other spacing). 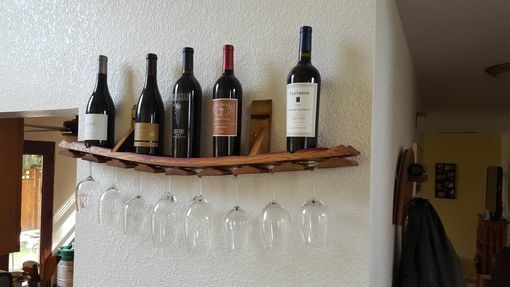 It holds 5 bottles and accommodates most bottles sizes. 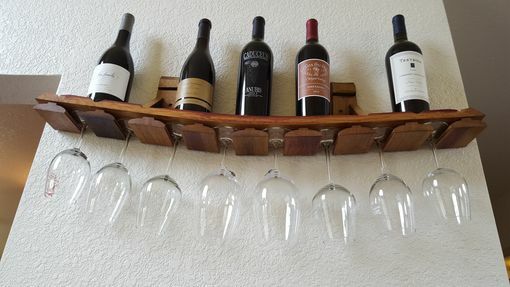 It also holds 8 wine glasses and accommodates most glasses. 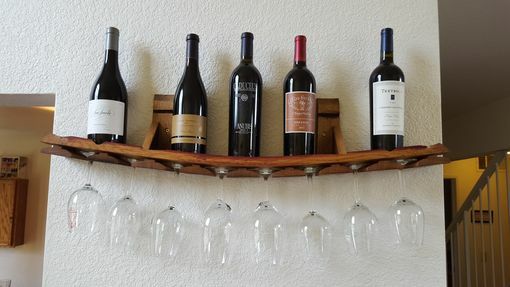 Due to its unique design, it is as much a piece or art as it is a functional wine and glass rack. 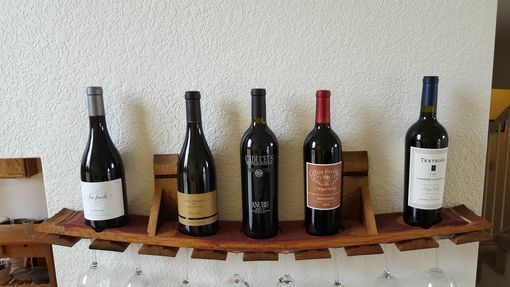 This hanging wine glass rack us made in the Napa Valley entirely from oak wine barrels retired from premium wineries in the Napa Valley. It is hand made by a 20+ yr veteran woodworker using premium joinery.